The possibility of long, dark eyelashes appeals to most of us. They can instantly improve your appearance by softening your features and giving you a more youthful, wide eyed look. However, if you were not born with long, lovely lashes, what can you do? Apart from using mascara, you can work to improve what you have, or use enhancements. Here are some options available for you both in salons and at home. Semi permanent lash extensions give a longer and thicker natural looking lash without the need for mascara or eyelash curlers. The Therapist will use a semi permanent glue to attach individual extensions to your natural lashes. They come in a range of lengths to suit your eye from nine millimetres up to a very glamorous 15 millimetres. The procedure will take between one and two hours depending on the quantity of extensions that need to be applied. Results are immediate and dramatic. The extensions are weightless and simply need to be combed with a clean mascara brush each morning after sleeping. You can wear eyeliner and eye shadow, however you can only use a oil free eye make up remover, to ensure the extension glue stays in place. Semi permanent extensions look amazing, and they save time in the morning as you don't need to worry about applying mascara or your mascara running at all. However, this is a very high maintenance treatment, with maintenance required every four weeks. The treatment costs anywhere from £40 up to £100 depending on the salon, so this is a luxury for those with plenty time and money to spare. Party lashes are a more temporary measure as they only last for a couple of days. A sprig of three to six strands are applied to your natural lash with temporary glue. They are great for nights out as they add some temporary length and volume and are quick and easy to remove. The cost is usually around £10. LVL stands for Length, Volume, and Lift. This treatment is an alternative to eyelash extensions. It has been designed to work with your natural lashes by straightening them rather than curling to create the impression of longer, thicker lashes. The treatment takes between 30 and 45 minutes depending on the length and quality of your natural lashes. The plus side of this treatment is that no adhesive or extensions are used as you are working with your own lashes. You do not need to wear mascara after this treatment and it lasts up to 6 weeks. Depending on the salon you visit the treatment can cost between £30 and £60. If you would rather work with what Mother Nature gave you or you’re on a budget, then there are a number of things you can do at home to enhance your eyes. If your lashes are light in colour, or the ends are blonde, you can dye them at home, which will instantly make them appear longer and thicker. Eyelash dyes are available at beauty stores and chemists at a reasonable price. They can be fiddly and messy but perseverance pays off. Serums improve the appearance of thin, sparse, short lashes into healthier, fuller-looking lashes in around three to four weeks. I use this myself and you have to remember to apply it your lash line every night before bed. Once your lashes a looking longer you have to keep applying it for the effect. As soon as you stop using it your lashes will shed naturally and return to their former state. 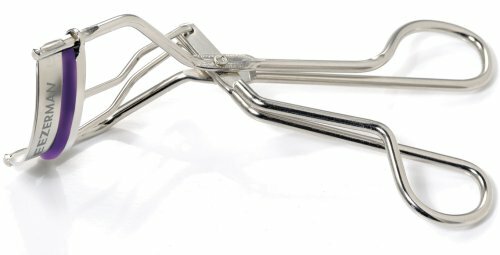 A good quality eyelash curler really helps to open up your eyes and give the appearance of longer lashes. The process can take some getting used to, but it is very much worth it. Start with clean, dry, and mascara-free lashes. Open the eyelash curler and, keeping your eyes open, place your upper lashes between the two pads. Position the curler as close as possible to your eyelid without pinching your skin. When your lashes are tucked inside, gently clamp the curler together. Hold for ten seconds, then release and add a slick of mascara. Finally, if you still feel that you need an extra ounce of glamour, glue on strip lashes, are great for an event as they only last one night. You can be as subtle or as bold as you want, as there are so many ranges on the market. They may take a little practice in applying but once you have the knack they give a glamorous result. Using any of these options will give you beautiful, long lashes that you'll love to flutter!